Occupied Palestine -- The Palestinian Federation of Unions of University Professors and Employees (PFUUPE) and the Palestinian Campaign for the Academic and Cultural Boycott of Israel (PACBI) call on European professors and academic institutions to immediately withdraw their participation from LAW TRAIN, a project aimed at unifying police interrogation methodologies while ignoring grave human rights violations. The Israeli National Police, which includes the infamously brutal Border Police unit, is deeply implicated in war crimes, extrajudicial executions and illegal violent attacks against Palestinians, including the brutal abuse of children detainees, as documented by Human Rights Watch. 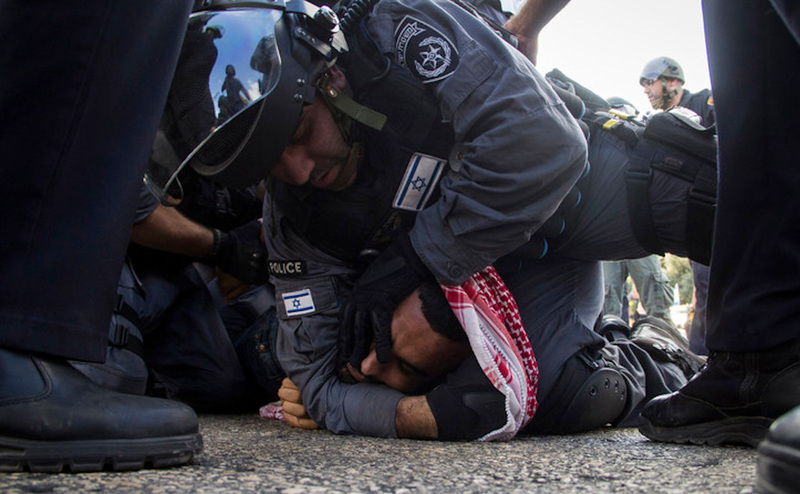 The police is also responsible for fostering a culture of impunity for Jewish-Israelis who terrorize or otherwise attack Palestinian civilians. In 95% of such attacks, the police fail to charge offenders.